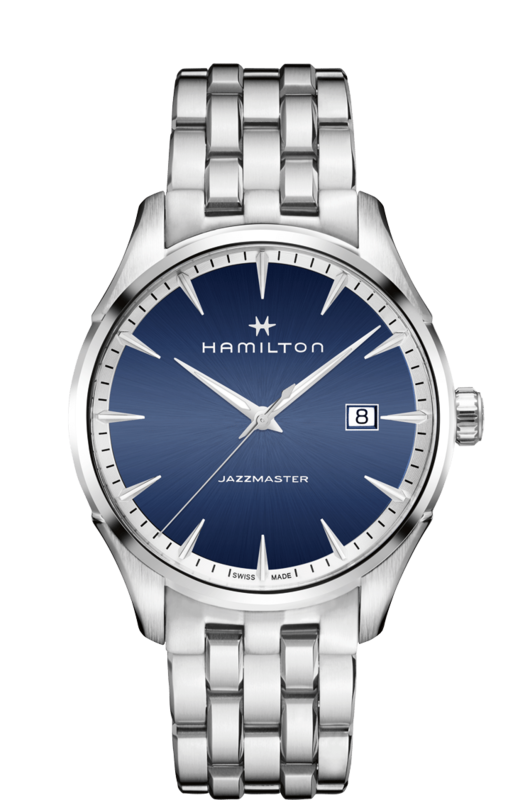 Stainless steel Hamilton Jazzmaster Gent Quartz H32451141 watch, water resistant to 50m, with blue dial and bracelet. 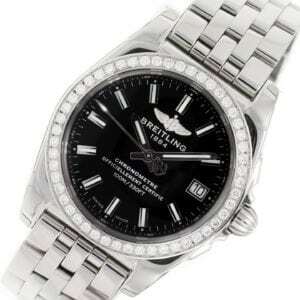 Stainless steel Breitling Galactic 36 SleekT A7433053/BE08​ watch, water resistant to 100m, with diamond bezel and bracelet. 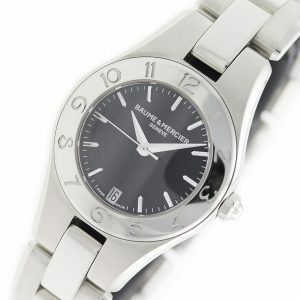 Stainless steel Ebel Classic Wave 9157F14-24725 watch, water resistance to 50m, with diamond bezel & indexes. 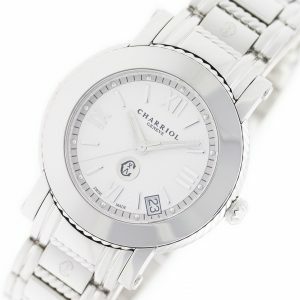 Stainless steel Chariol Parisii P33S.P33.001 watch, water resistant to 30m, with date and bracelet.